Need Help With a New Invention or Idea? Get your FREE Inventors Kit. Our kit shows you how to prepare, package and license your idea. Are you ready to take the first step towards realizing your business idea? We've been in business over 25 years helping people like you become successful. Has anyone patented an idea similar to yours, let us review the landscape? We can help you decide the best route to go. From friendly and helpful support, and quality prototype design, we have a network of marketing companies to licensing professionals that can help you develop and market your new invention ideas. Ready for invention help? 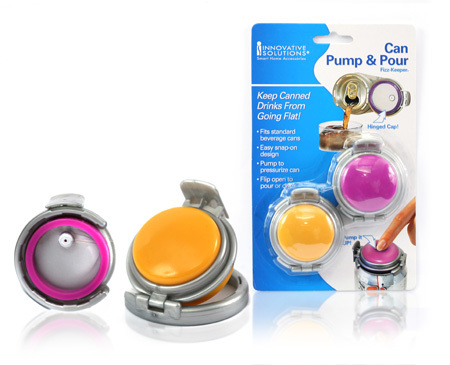 Products that we have been successful in bringing to the retail market for our inventors! Request A Free Inventors Kit to learn about the process so you can be featured too! A product that saves sodas from pesky insects and also reserves freshness. 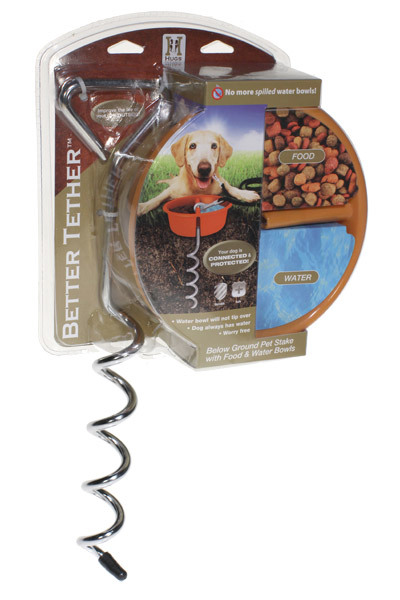 A product that is placed in-ground, eliminating an obstacle to pets, humans and machines such as lawnmowers. The divided food and water bowl can never be tipped over. 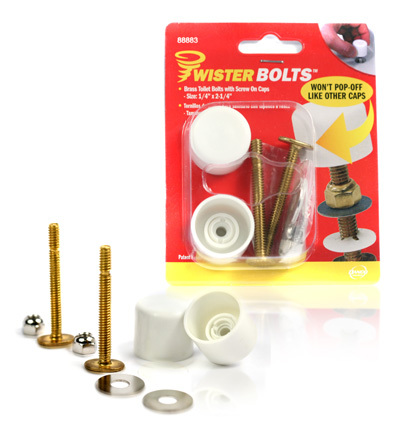 A product designed for the do-it-yourselfer or seasoned contractor to place over caps that secure toilets to the floor. 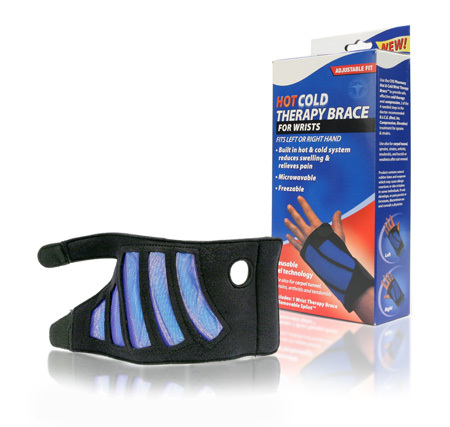 Anyone who suffers from carpal tunnel or has ever had a wrist injury knows the difficulty of finding a product that offers support as well as pain relief. Most people end up awkwardly taping an ice pack around their hand, limiting their ability to perform day-to-day activities. Our client came to us with an unusual and challenging request. He had built a rough model of his BikeBoard concept and went as far as taking it to various manufacturers. He was turned down and told that his product was simply not mass-producible. We applied our unique and proven development process and redesigned his product. 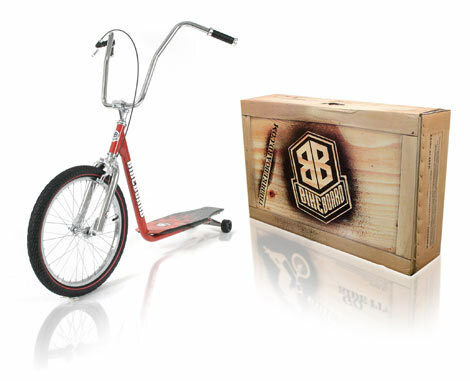 Davison made the BikeBoard so it could be mass-produced and shipped at a reasonable cost. In addition, we made it more fun to ride. We’ve been helping idea people for 25 years!! If you want a free information kit your are in the right place. Feel free to fill out the form and opt for support if you have questions for us about your invention ideas. Want to schedule some time to chat with one of our customer success representatives? Call us at 833-478-4442. Or complete the form and we will send you free information to get started. We can’t guarantee your idea will be the next big hit, but you’ll never know how far your idea can go unless you try. We make it easy to take the first steps; all you have to do is submit your idea for a no-cost consultation. If you don’t think Davison is right for your idea, you’re under no obligation to move forward. Idea4Invention.com is a one-stop site to help innovators get their invention ideas realized. We work with the top companies in the industry to help you prepare, package and license your ideas. Believe it or not, the process of turning an idea that exists only in your mind into a real-life product can be complicated. At Idea4Invention.com, we can help you better understand the process, so you can take the necessary steps toward making your invention idea a reality. From learning the difference between Patents, Trade Secrets, Copyrights and Trademarks to creating a prototype and putting your finished product out on the open market, we can help. The invention process can be difficult without the proper guidance and support – even some of the world’s most recognized inventors have failed a time or two. With Idea4Invention.com, you can get the invention assistance you need. Contact Us today to discuss your invention idea so they can be brought to the market place. Invention help is here. Are you looking for Invention Help Reviews? Patenting an invention helps turn an idea into reality. A patent for an invention issued by the U.S. Patent and Trademark Office gives property rights to the inventor. There are many different types of patents that protect different types of inventions, but they all must satisfy the following requirements: the invention must be novel, the invention cannot be too obvious, and the invention must be clearly explained and documented. A patent and invention service company can help you figure out if your idea is marketable and get you on track to secure the patent or trademark you need. However, some of these companies charge exorbitant prices and have a low success rate, meaning you may end up investing a lot of money into an idea and never seeing any return on that investment. Be sure to carefully screen any company before sending money or signing a contract of any kind. The challenge of inventing and putting your invention ideas on company shelves. Success in the world of innovation is all about getting your timing right. If you wait too long, someone else will have capitalized on a similar idea and captured your niche already. On the other hand, if your invention is the first of its kind, the market might not be ready — and you'll have to fight an uphill battle to carve out a place for your product. If you need invention help consultation, give us a call us at: 833-478-4442. How can I get prototype help? Do I need one? For more information, or if you’d like help creating a prototype of your own, please fill out the form above. Our partner companies can help you through the prototyping process. How To Patent An Idea or Product? The patent process can be tricky, time-consuming and full of pitfalls. At Idea4Invention.com, we can help you understand the patent process and how to get a patent. We work with top patent lawyers and patent agents, who can assist you from beginning to end. Answer the questions to the left to get help now..
Have you seen anything similar to your idea hit the market? Products are continually being introduced to the market. Take some time and research whether there are already new inventions like yours on store shelves. We can also help here with your idea. We encourage you to complete our form for your free invention guide. A Customer Success Representative can setup a time to call you on their follow-up!